We buy two types of chickens at The Meat Hook - a fully pastured and free-range chicken. You can also place a special order for local rabbits, geese, cornish hens, and many other types of fresh poultry! 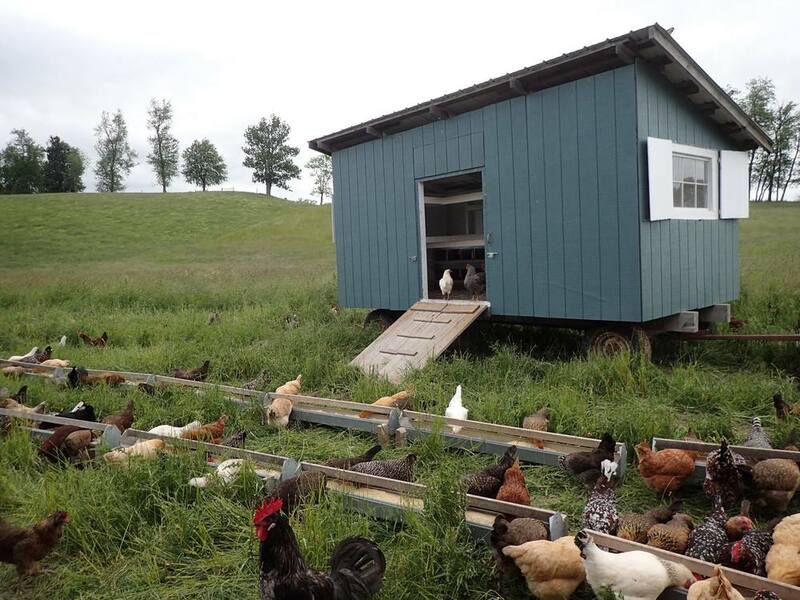 Cascun Farm raises chicken on 125 acres of rolling pasture in upstate New York. The family-run farm never uses antibiotics or growth hormones but a custom chicken feed instead, to ensure that we know exactly what those birds are eating. Cascun Farm also has their own poultry processing facility on the farm where the same care is given to processing and packaging our birds as it is to raising them. The other chickens we sell come from a co-op of small, free-range chicken farmers in Quebec, who collectively own the most advanced air-chilled processing facility in North America. These chickens are raised without hormone or antibiotics and are blast chilled after slaughter instead of water chilled (which can add up to 15% more weight to a 3-4 pound bird). This allows you to get more meat for your money.